Baby Veronica returns to her biological father: Affirming ICWA, South Carolina’s Supreme Court made the right decision. Melanie Capobianco smiles at Veronica as she plays with her Christmas toys at their South Carolina home on Dec. 31. On July 26, the South Carolina Supreme Court issued a decision affirming the return of Veronica, an adopted 2-year-old Cherokee child, to her biological father, Dusten Brown. The court’s decision was devastating for her adoptive parents, Melanie and Matt Capobianco, who had been raising the child since her birth after her biological mother willingly gave her up for adoption. “I’ll always remember her crying when we had to—we had to walk out of that office and leave her there,” said Melanie Capobianco referring to Veronica’s reunification with Brown. “We’re kind of reeling from it, and reliving having to hand her over in our minds constantly is painful,” the couple added. Since Veronica’s reunification with Brown in January, the Capobiancos have been fighting ceaselessly for her return. Veronica’s case has garnered national attention and unprecedented support. 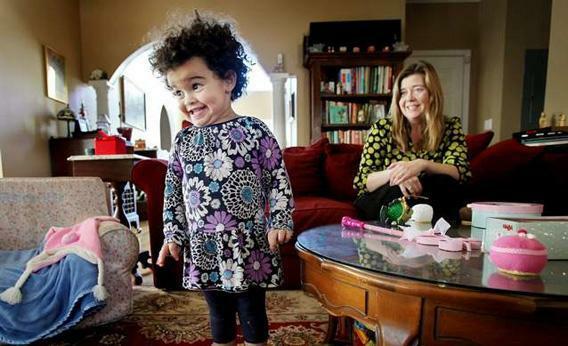 For months, pictures of the smiling toddler with her adoptive parents have been splashed across South Carolina papers and featured on CNN and in the Weekly Standard. Moreover, these news stories about “Baby Veronica” almost uniformly support the Capobiancos, with articles and commentary expressing outrage at the fact that although South Carolina law supports terminating Brown’s parental rights due to his lack of involvement and financial support before and after Veronica’s birth, this state law is superseded by an “obscure law” or “federal loophole” known as the Indian Child Welfare Act (ICWA).